very nice..... will his death animation like the sprite version? 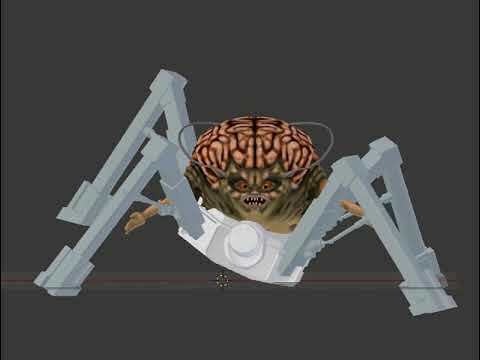 i found a model of cacodemon for printing. maybe it is a good start ? Not high enough res for baking or for use as a low poly. Thanks anyway though. 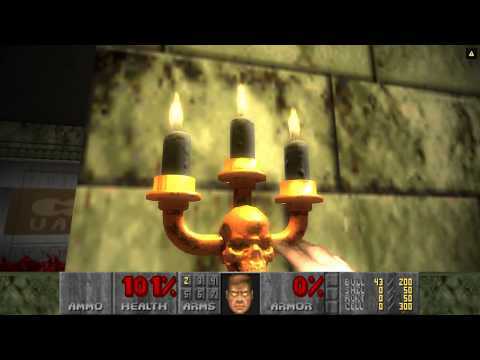 Here is the Candelabra, with a wonderful flame shader thanks to Veirdo! New version of the DHMP has been released including the candlebra. Thanks to Veirdo for his flame shader and his help getting it working. thx for this awesome Candelabra and for fixing the energy cell pack. Is it my setup or why does the texture of both trees so blurred or coated with transparent plastic? Mobjs in Doom have a facing angle irrespective of whether their sprite graphics have 1 or 8 angles. Naturally, ID didn't bother to fine tune the facing angles of mobjs that have sprite graphics with 1 angle. The issue with the rocket box is, that in the map. multiple rocket boxes are put in the exact same location and in the 3d model information we have set it to make each rocket box face a random direction, this is done because as vermil said, id didn't always think about which way the object should be facing when they were placing it on the map. maybe the trees could be tweaked a little, do they look better if you set rend-bloom to zero? "rend-bloom 0"
@0815Jack what map are you using in the tree screenshots, and where can i get it? @deus-ex care to share the tweaked models/textures? Of course, I just wanted to know whether you are interested, and I didn't want to spread these without your consent. 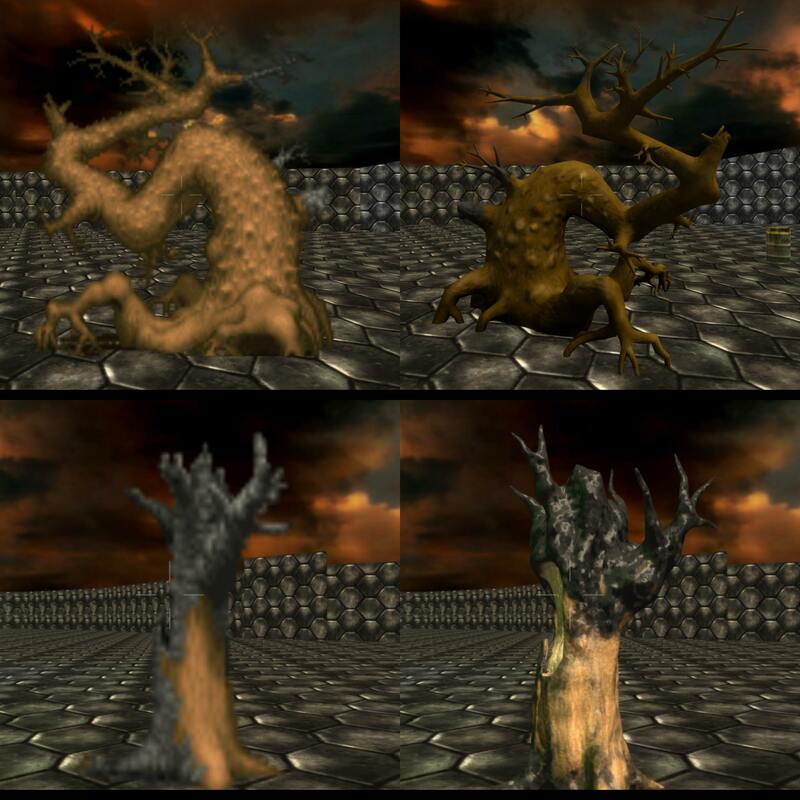 Basically I only modified the main texture of the models (bigtree_d.png, torchtree_d.png) by adjusting the contrast. For each texture I experimented with several contrast settings to find a fitting and satisfying value. Furthermore all textures are size optimized (including CC-by-nc-sa.png, Icon.png), in the process the image bit depth was reduced from 32/24 to 8 bit without sacrificing image quality and content. Finally the model packs are recompressed using maximum settings, the resulting archives are further trimmed using a special tool set to gain optimum size results. 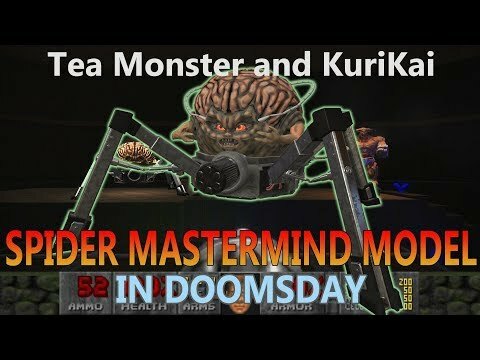 Thank you both KuriKai and Tea Monster for creating and sharing these fine models and textures in the first place! ah damn, you didn't edit the hires textures that are available in github. I always wondered why you only offer medium and lowres versions of the pack for download, but no download link for hires. I figured maybe you keep holding them back until a more advanced version of the pack gets released. Because of your post I searched the entire project page, read through all text, followed all available links, but I couldn't find any link, functionality or description (despite that you mention it in your post) how to download the "high resolution" pack. So I navigated to https://github.com/KuriKai/dhmp to check for any available releases, yet it shows "0" releases available. Then I tried "Clone or download" and chose "download ZIP" which downloads a dhmp-master.zip containing all lowres, medium and hires textures in one huge pack, totaling to ~188 MB. This is not convenient at all. I do not intend to start a fork of the entire project in order to modify just a few particular textures. I would rather not use GitHub pullback for a few modificated textures, instead of the usual way of discussing those with the creators and the community here in the forum, and make those files available via post attachments in case of consent. The project page is laking proper instructions on how to access the hires content. Currently it is way to inconvenient to access the hires content. Why don't you offer a direct download link for the hires pack on the project page https://github.com/KuriKai/dhmp/wiki in the first place? Why don't you provide any releases via GitHub, but use a download host (MEGA) instead? Or at least offer both download solutions? maybe I should remove the words "medium resolution"
Yeah it's fine to modify them and post them here also. the hires textures can be up to 2048, even 4096 which is way too large. Is this really true? Cause I tried replacing the midres textures from the zip download with the hires ones from github and after that doomsday became very unstable with heavy stuttering. Dday may not be the most optimized piece of software at this moment in time, but it sounds more like your hardware is struggling with the higher resolution skins than Dday being at fault? the movement looks very natural .... will his arms also get an animation? This is just a test, not all animations are done yet and package details are still being tweaked. I was wondering how do you open the .pack files? 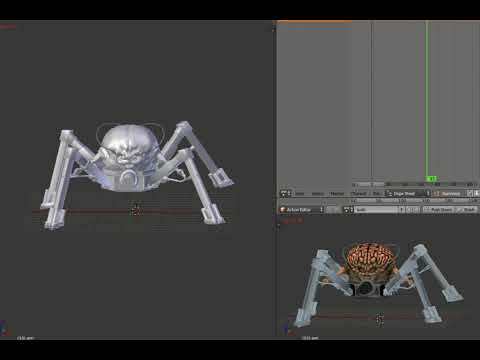 I was looking at getting into making models for DoomsDay engine, but not really sure where to start. I was hoping to look at an example and to hopefully learn. I have Blender installed but not sure how to get it in haha. Would greatly appreciate any guidance!